“Art chooses you, not you, art. 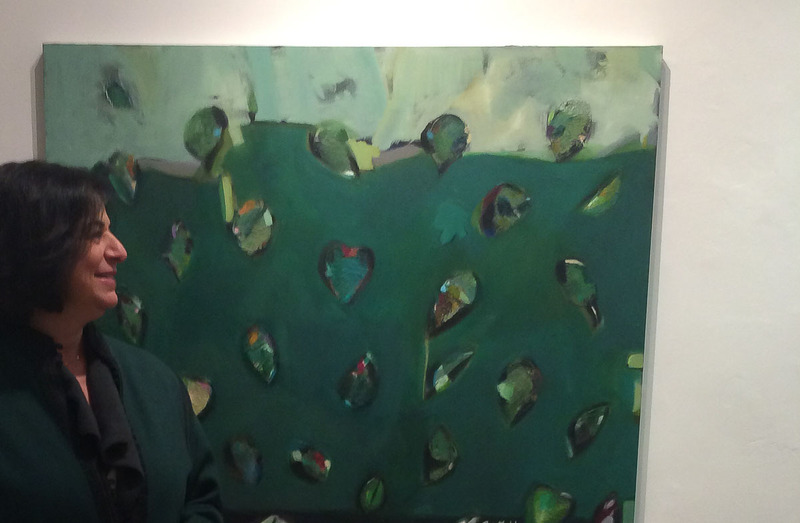 It is a compulsion,” Mona Deeb said, one of the owners of the art gallery Nabad in Amman. Not particularly famous for its art scene, unlike Beirut for example, the Jordanian capital saw in recent years the spread of small galleries and a generation of young artists. Around twenty galleries exist in Amman but hardly any in the provinces, especially the arrival of artists from neighbouring countries to Jordan following the wars in Iraq – the Gulf war in 1991 and the US invasion in 2003 – and Syria. Mona is convinced this arrival has enriched the scene in Jordan. “Jordan is a young country and so the art scene is also very young…since I started working in this field, definitely, a lot has happened with the impact Iraqi and now Syrian artists have had,” she said. Nabad means pulse in Arabic and so is the understanding behind it, to be the pulse of the regional Arab art scene – especially of young artists. “We want Nabad to be a forum for young artists,” she said. 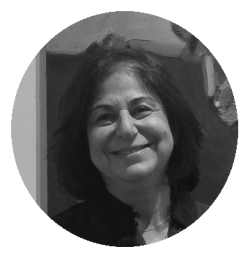 Nabad was founded in 2008 by four women; Mona Deeb was one of them. Originally from a Christian Palestinian family from Jerusalem, born in Beirut, raised in Amman, studied in the US and the UK, she is a real wanderer between the worlds – East and West. Her passion for art developed in her early years at the private Ahliyya School in Amman, which had art programs as part of the curriculum. Later on, she worked in different art galleries in the US and in Jordan. Despite her love for the arts, she chose another career path and worked in the field of interfaith studies for many years after having studied English literature. Everywhere in the world, working in the field of art is a challenging business, and in a country with an official unemployment rate of 15 percent and a struggling economy, this is especially true, so Mona always had another job besides her art curation work. Why does she continue anyways? Mona Deeb stayed true to her roots as a woman of the East. “I think I got connected and I’ve been following the paths of so many artists, it is a side of my life that I don’t seem to be able to stop or leave,” she said. Similar to her experience, many artists in Jordan are facing difficulties in finding a balance between being creative and sustaining an artistic career that they can also live from; some are teaching art in schools and universities. Additionally, there are constraints on society and families. “In the society where there are many taboos, which makes artists seem a bit like an outsider…it is a kind of rebellion,” she said. For women sometimes it was easier, Mona thought. “It is common, and perhaps for women, it is easier because they say they can get married and they don’t have to live from their art, but for a man, I am sure it is very hard,” she said. However, in recent years more and more Jordanians got in touch with art. The audience became larger and the appreciation of beautiful art pieces is growing, according to Mona Deeb. Art is still mostly limited to a small group of people in Jordan who can afford this luxury due to financial barriers. Another main problem is that government schools in Jordan have no art programs as part of the curriculum, with very few exceptions. She was worried about the future of the art industry in Jordan. “It is uncertain whether art galleries can continue to survive for a long time because of the economic and political situation,” she said. Many young Jordanians are immigrating to the US or Canada, hoping for better prospects. The ‘brain-drain’ of well-educated Jordanians is a massive problem for Jordan. Mona Deeb’s son is living in the States. “I think about it a lot because my son is in the US,” she said. “At the same time, I have my mother here and my aunt and I have to be with them, I can’t leave them, but deep inside, I think I would feel out of place in the States. It is not like here. “Here there is a certain warmth, your roots, close to home, it is difficult…I think it is a matter of identity as well. I think you know who you are in your own country and I see Jordan as my home. 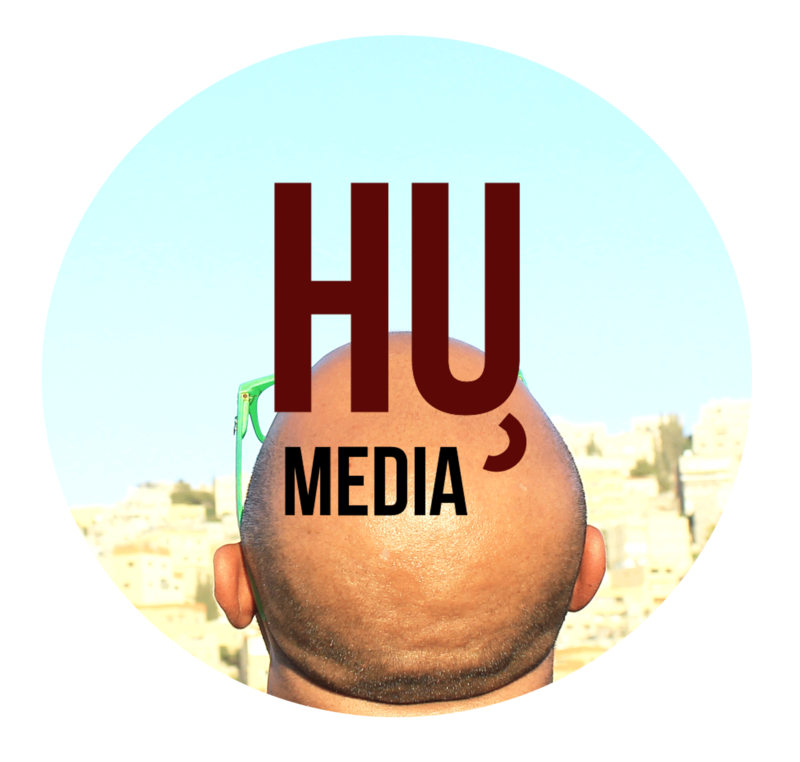 “I went to school [in Jordan] and I know a lot of people, also the Palestinian culture is part of it. My identity is more defined here, although I sometimes say I feel out of place in Jordan, which I do sometimes, I think it is a symptom of the times now, because you live in different places – I lived 11 years in the States – but you always come back to the place you know best, with all its faults. 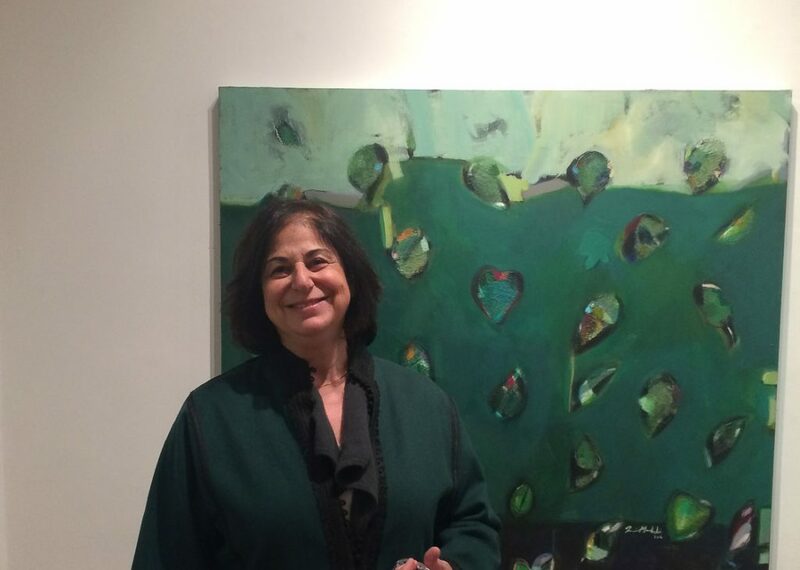 Moving around in different worlds, being lost sometimes but at the same time connected to Arab culture and art is something which ties the gallery owner Mona Deeb to many Arab artists from the region. “I identify with this kind of art, I can see more in it, I can read it better. Of course, I appreciate Western art, but I feel more connected to Eastern art,” she said. Arab art has its own very special characteristics, as a result of the history, culture, religion, and language; the Arabic alphabet has been prevalent in the work. 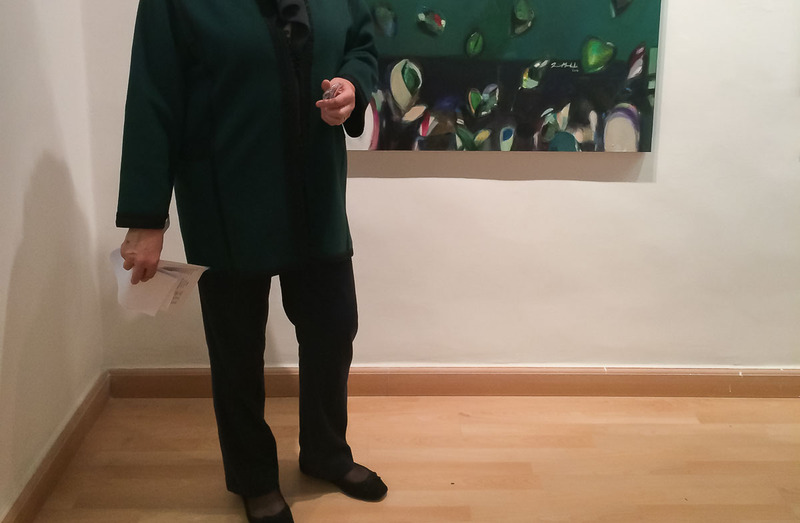 So Mona Deeb will continue to follow her passion for art and to create a forum for Arab artists, as long as possible, in the little but fine art gallery in Amman. Mona Deeb is an artist and one of the founders of Nabad, an art gallery located in Amman, Jordan. One of the few galleries in Jordan, it functions as a space to encourage art and local artists to collaborate and express themselves. Living most her life in Jordan and growing up half of it in the States, her art represents the two meeting cultures she wants to create in Jordan.